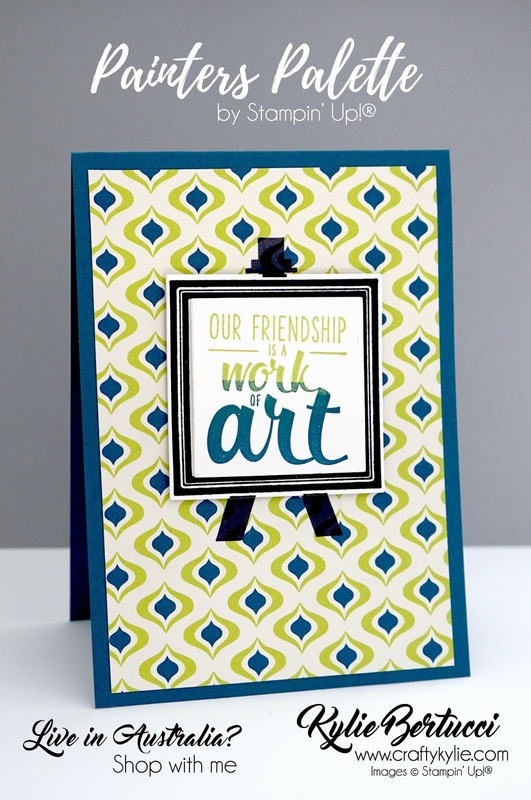 Thank you for joining us for the Crazy Crafters blog hop with special Guest Jenny Hall! 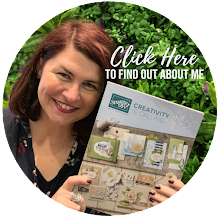 We are so happy to have Jenny hopping along with my Crazy Crafters team. We will be CASE-ing Jenny's work (Copy and Selectively Edit) So we are inspired by her work but still make the project our own. It is such a great way to get inspiration without feeling like you have to copy it exactly. I thought it would be fun to pull out a stamp set from our annual catalogue that has been there a while. Remember to pull out the old favourites right? The paper that I used today is from the Eastern Palace Designer Series Paper. It reminded me of some retro 70's wallpaper! I then used the Lemon Lime Twist and Dapper Denim on the sentiment to bring in the colour from the Designer Series Paper. 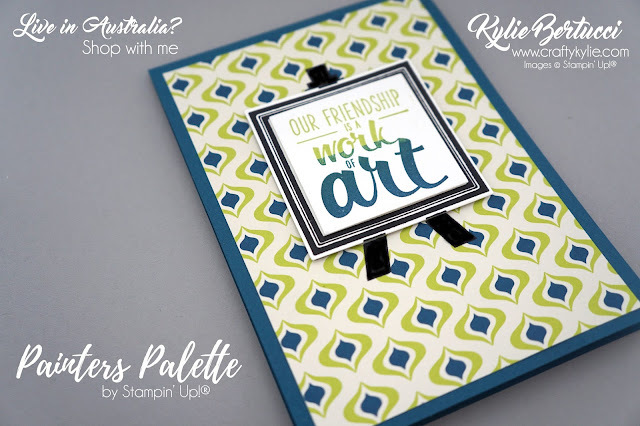 That is the awesome thing about Stampin' Up!® Paper - we have ink that matches it perfectly!! So get that paper out and use it - #loveitchopit. I love how Jenny used the DSP and the painters Palette stamp set - so I just went for the same thing - the placement a little different and different paper - how amazing that it can look so different right? The possibilities to use our wonderful paper are endless. 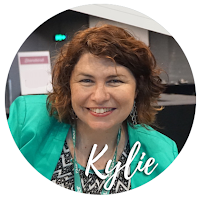 Thank you for coming by to my blog today - if you enjoy my work and would like updates you can click HERE - http://bit.ly/subscribetomyBlog to receive my latest updates by email when I add a new post. 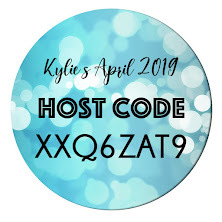 Make sure you don't miss one person's post in the list below as there are going to be some fantastic projects to inspire you. 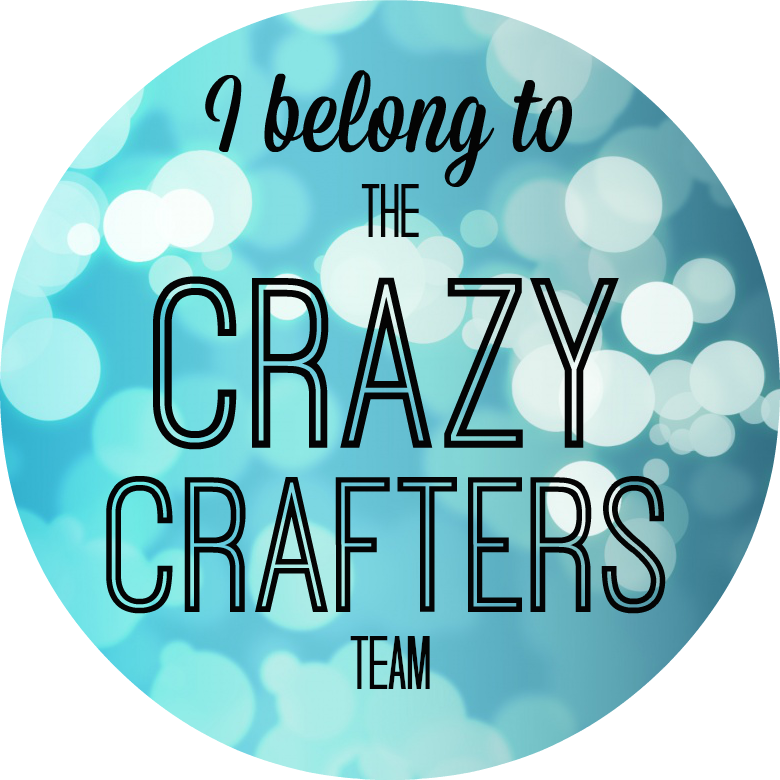 Big thank you to my Crazy Crafters team and Jenny for joining us with this hop. 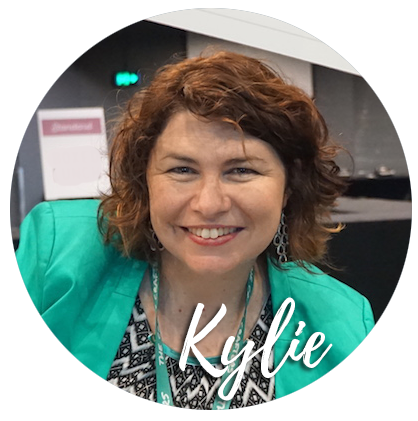 Remember you are currently at my blog - Kylie Bertucci, so check the list below to see who is up next in the list.